Chris Brown is under criminal battery investigation ... TMZ has learned. 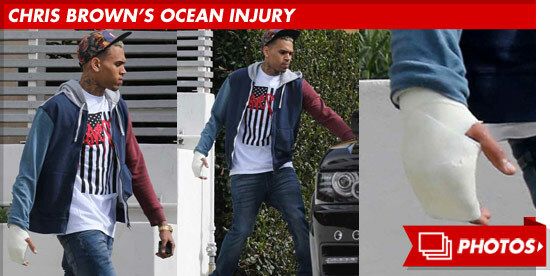 Remember that brawl between Chris and Frank Ocean last January outside a recording studio? Law enforcement told us shortly after the incident the case was closed, but we found out that's not the case. We've learned the L.A. County D.A. 's Office has an active file and is deciding whether to prosecute Brown for battery. It's interesting ... because Ocean never formally pressed charges. Nonetheless ... the case is under review. BTW ... Brown is also being investigated for an alleged hit-and-run.